It’s easy to eat lunch at your desk while scanning your computer or phone for the latest buzz on social media. Why not take a break from the screens and enjoy the outdoors for a change? 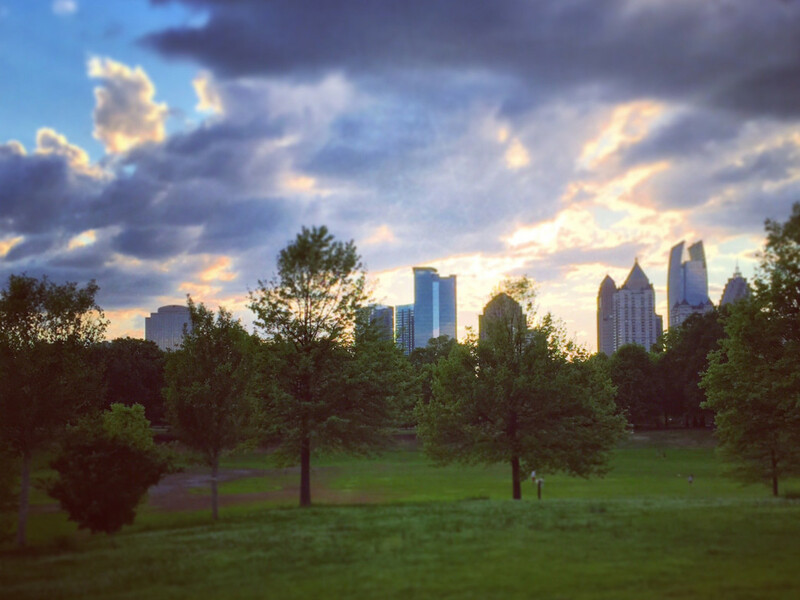 Atlanta is blessed with plenty of local paths and trails that give you a chance for a quick outdoor fix that will do wonders for your afternoon mood. 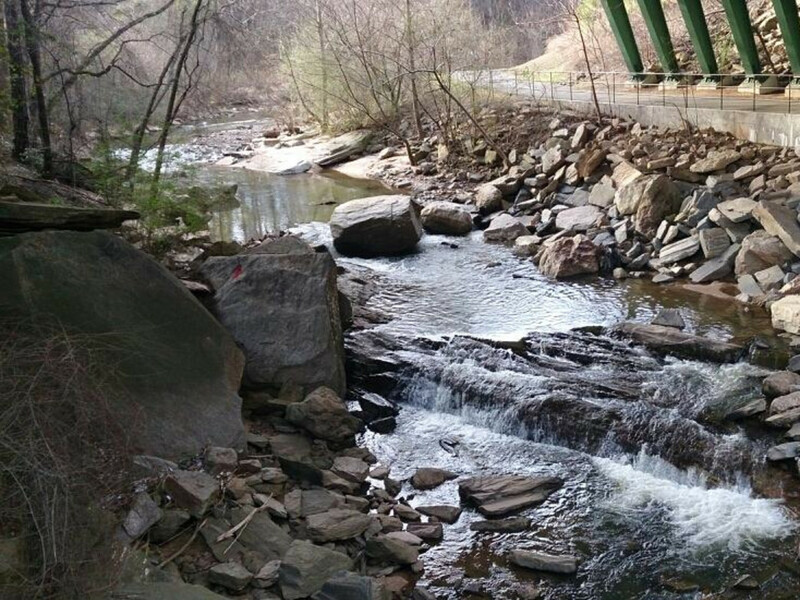 Here are six of our favorite lunchtime hikes in Atlanta, organized by neighborhood. PATH 400: At one of Buckhead’s busiest intersections, Piedmont Road and Lenox Road, the start of a new paved path has sprouted up. The PATH 400 follows 400 on a slow descent to Old Ivy Road. It was built in early 2015 and is still well manicured with trees and outdoor art. As sections are added on, PATH 400 will be longer than its current distance, only 0.6 miles one way. This path is a great lunchtime spot to stride it out, or even have walking meetings. 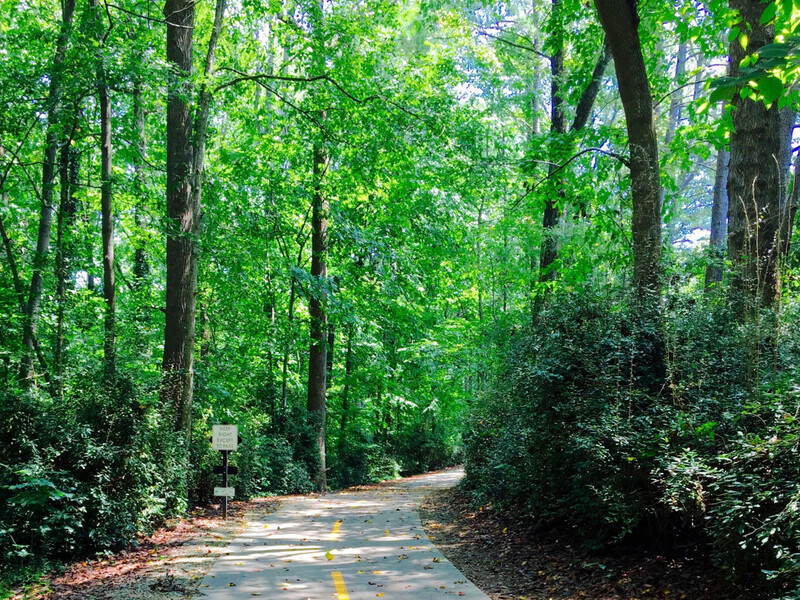 Blue Heron Nature Preserve: For another, more wooded trail, the Blue Heron Nature Preserve is less than 10 minutes away on Roswell Road. The trails are free and open to the public daily. They cross Nancy Creek, meander around the lake, and stroll among the 30 acres of maple, cedar, pecan and oak trees. And of course, look out for Great Blue Herons that linger among the ponds. 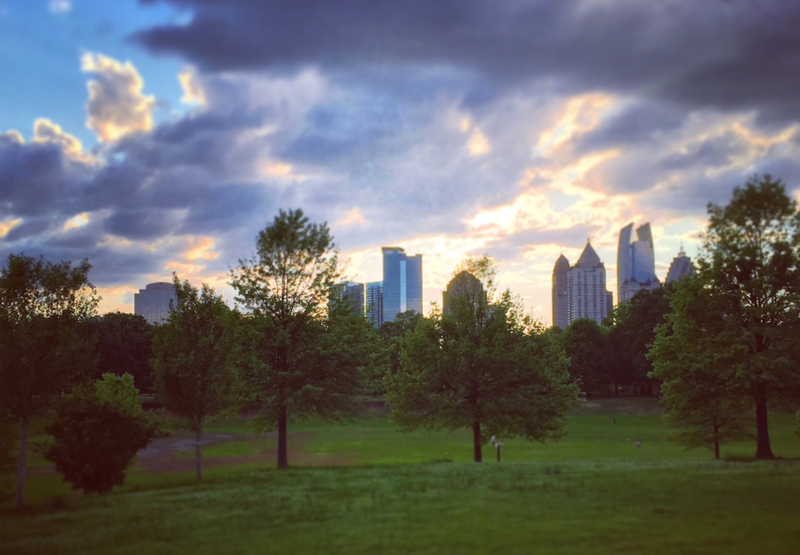 Piedmont Park: If we rated parks, Piedmont Park would be Atlanta’s heartthrob. 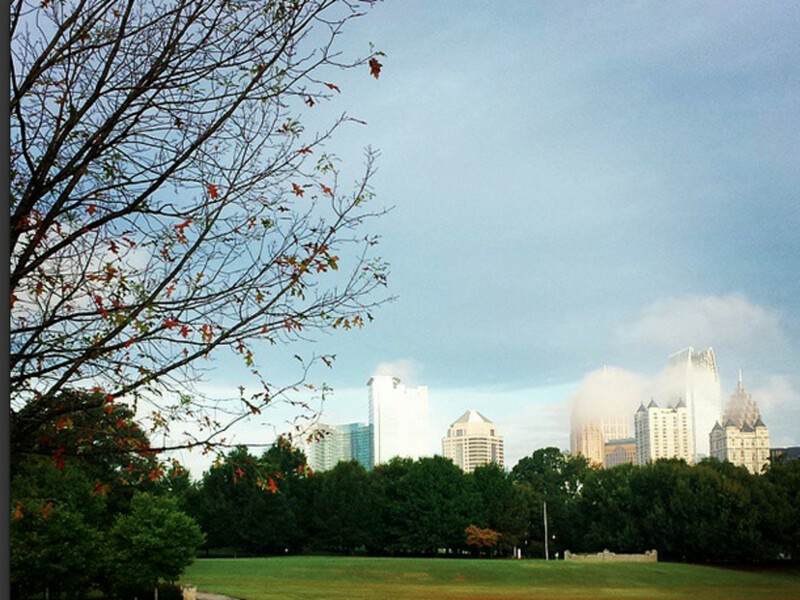 Those who work in Midtown are lucky enough to seek solace for a midday stroll in the park. The park has several paths, with the longest being the 2.5-mile outer loop that circles the exterior of the park. Other loops include the Lake Loop, that follows the wide road around Clara Meer over a constant grade for a 0.97-mile loop. The Active Oval is a 0.52-mile gravel loop, and if you’re looking for a strength workout, along the exterior are a few sets of fitness structures, such as a pull-up bar and sit-up bench. The Oak Hill path on the southern edge of the park climbs the steepest hill in the park and offers a beautiful view of the Midtown skyline. 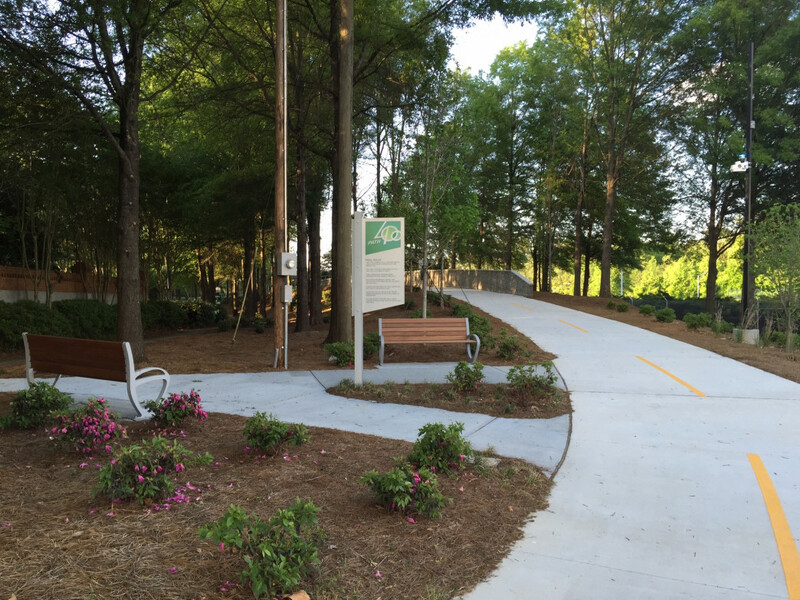 Atlanta Beltline Eastside Trail: Actually, it’s closer than you think. From downtown Peachtree Street, the Beltline’s Irwin Street entrance is less than 2 miles away. Most of the Beltline is in full sun, so it’s best to take a walk here when temperatures are mild and you’re in need of some Vitamin D. Make a stop by Old Fourth Ward Skatepark, 0.7 miles down the trail, to watch local skateboarders practicing their latest tricks in the half pipe or bowls. Throughout the year, the Art on the Beltline series displays sculptures, inventive graffiti art on the bridges and playful art statement pieces along the path. 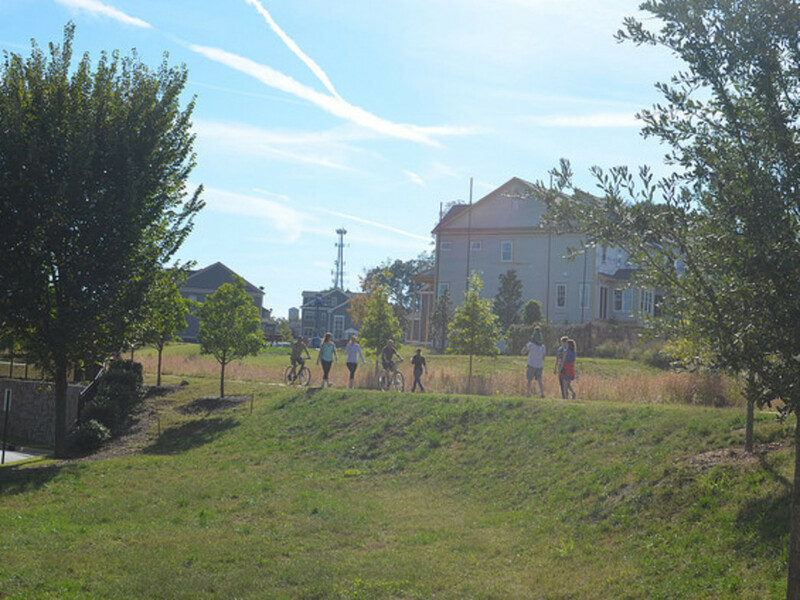 Blackburn Park: The Nancy Creek Trail that leads to Murphey-Candler Park paves right through Blackburn Park. From the main parking lot, it’s easy to pick up the paved path heading north, as it gently slopes down toward the park’s pavilion. Following the park north (you’ll see the mile-marker sign) will take you out of the park along Ashford Dunwoody Road toward Murphey Candler Park. Stick inside by following the loop east around the park’s fields and dog park, You’ll walk over a few bridges through a modest shaded forest, very peaceful for a work break. West Palisades: This paved trail ribbons along Rottenwood Creek for an uninterrupted 4-mile, out-and-back trail. The Bob Callahan trail is easily accessed from Akers Mill Drive parking lot. It dips into the creek bed and follows along Rottenwood Creek, traversing over multiple bridges leapfrogging back and forth over the creek. Much of the beginning of the trail is exposed to the sun, but if you make it to the last mile, the trail becomes more wooded and eventually reaches the Chattahoochee River.